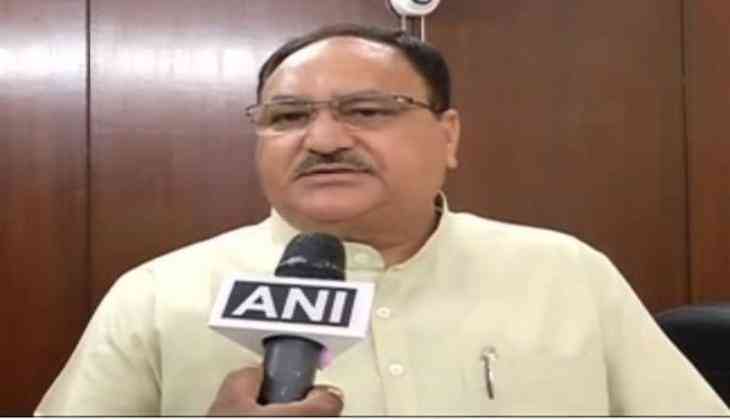 Union Minister for Health J.P. Nadda on 4 July said that the Centre along with states is plying to work on the lines of prevention in terms of combating vector borne diseases, given the season on monsoon prevalent across the nation. Asserting that the national capital and Centre are well equipped for providing the cure, Nadda who chaired a review meeting to fight the menace of dengue and chikungunya, said that the authorities are leaving no stone unturned to make sure that the epidemic doesn't cause harm in the first place. "We keep on conducting review meeting on a regular basis. At a time when the weather changes and the possibility of an epidemic rises we conduct these meeting to combat the menace. This time we have witnessed an early monsoon and this has propelled the changes of Dengue and Chikungunya spread. Ever since January we have issued 13 advisories and held 4 video conferences with the state in the regard," said Nadda. "In today's meeting we reviewed that we are ready to combat the menace in every way, we are fully equipped and if there is any shortage then we are prepared for that as well. It has been decided that our health secretary will conduct a meeting with Delhi health secretary and we will strategize our moves for Delhi. And keeping this thought in view we will also call the MCD representatives and welfare association people also so that we work on the lines of prevention. All in all we are prepared and if states need any kind of assistance then we are ready to provide it," he added. The Delhi High Court is hearing on several petitions seeking action by the Delhi Government and civic authorities to stop the spread of Dengue and Chikungunya in the national capital. The Delhi High Court, in its earlier hearing on Tuesday, asked the Delhi Government why the citizens of the national capital continue to face the threat of Dengue and Chikungunya. It said this was so because the Municipal Corporation of Delhi (MCD) has not been able to clear garbage in unauthorised colonies. The High Court also questioned the Delhi Government on the issue of rampant regularisation of unauthorised colonies that is making the job of municipal corporations harder. "For right to shelter and right to city and the community, you are compromising on the health of citizens," the High Court told counsel of the City Government. The bench said that it would pass an order on the issue on Wednesday. The bench of Justices Gita Mittal and C. Harishankar asked the MCD what would happen if the 'safai karamcharis' go on a strike for three months, while referring to the current crisis in East Delhi Municipal Corporation. Justice Gita Mittal noted that garbage was not collected overnight and it was because the job was not done. "We need to streamline process of garbage collection and disposal. We need biometric attendance at least 3-4 times a day. Take pictures of Dhalaos and we will make it a part of the order. There will be a visible difference in Delhi," Justice Gita said. The court also said that the Delhi Legal Service was also planning to start a programme of awareness for citizens about the cleanliness and solid waste management. Prior to this, the High Court slammed MCD (North, South and East) in failing to manage the sanitation and garbage management in the national capital.